It’s dedicated to I., who has been unfailing in his support for this blog and to my dear friend E., who introduced me to coplas and Doña Concha decades ago, on late nights in a pink room on East 86th Street. Thank you to both. The rest can look for the translation if they like. Βαριέμαι τώρα. Me da pereza. 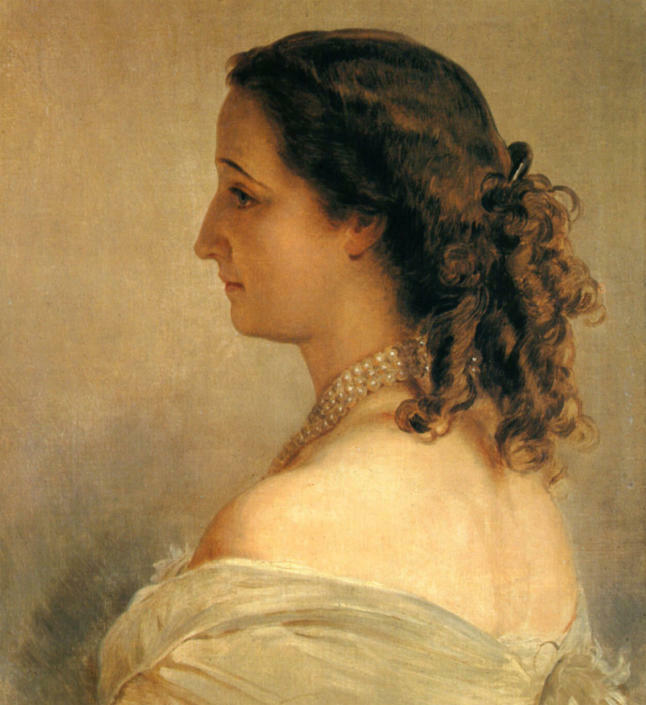 Eugenia de Montijo, considered one of the most beautiful woman of nineteenth-century Europe. (click) And below, Concha Piquer’s version, and underneath the lyrics. porque las dos son guapas y granadinas. y Granada viva de luz del Genil. mientras su vida se apaga.